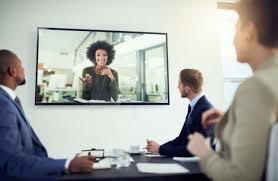 Today’s video technology makes it easy for meetings to be attended remotely. In many instances condo corporation documents have yet to catch up with technology. This most likely means they are silent on the use of video or other technologies. Some condo corporations may choose to modify condo documents to allow electronic participation in meetings. Others may choose to allow electronic participation without modifying condo documents. Modifying condo documents may require a vote of condo owners. When electronic participation is allowed by telephone, video conference or other means it should be possible for those participating electronically to hear and be heard by all in attendance. Consumer services including Twitter, Facebook and Skype are not designed for this purpose since not all conversations may be heard by everyone.